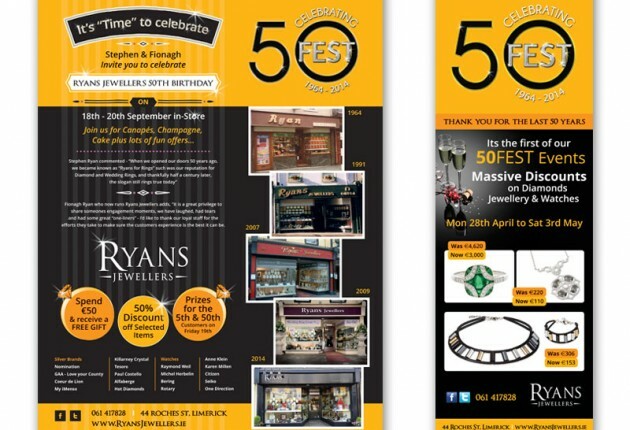 Celebrating 50 years in business this year, we were engaged by Ryans Jewellers, located on Roches Street, Limerick to help them communicate their 50 Year Celebrations. This involved planned campaigns for their window signage and local newspaper advert campaigns throughout the year. 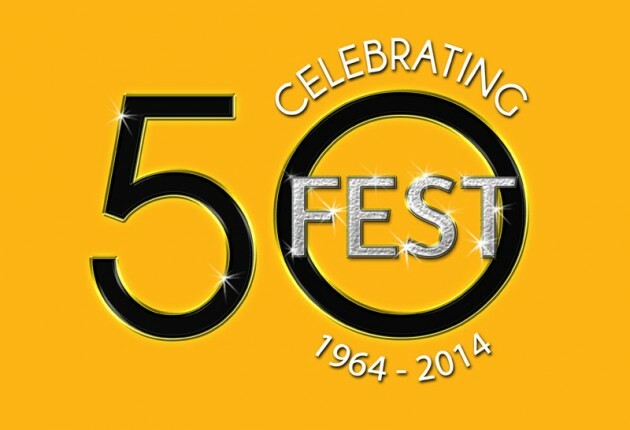 Our first project was to design a new Fifty FEST Logo. We worked though the brief together and agreed on specific requirements. We experimented with colour schemes and agreed that the bright yellow/orange and black colours would work very well in the newspaper adverts. Experimenting with the layouts and taglines, we were very happy with the end result, as you can see here. We also incorporated the new branding into the Facebook profile and Facebook banner. There were several planned campaigns throughout 2014 and liaising with the team, we designed the adverts, working to the required dimensions and including a whole array of full page adverts, half page adverts and quarter page adverts, depending on the scale of the specific campaign. We managed the adverts from start to finish, working directly with each newspaper contact on the artwork to the agreed deadlines. 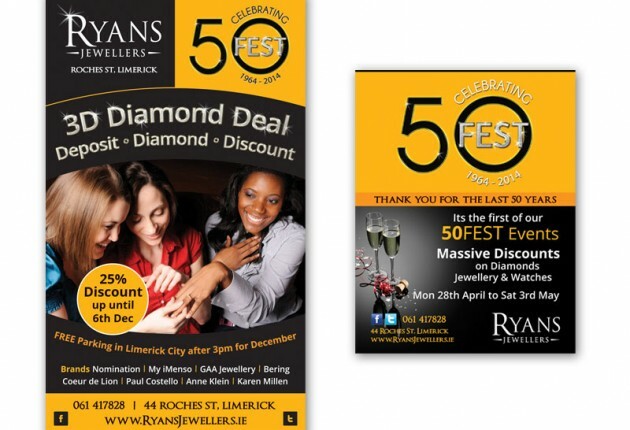 See examples of the adverts and campaign style – they worked very well for Ryans Jewellers and helped to increase footfall and sales during the year-long campaign.